hello..firstly i like to apologized for my absence, i have been busy. but still managed to keep up my sourdough baking just had no time to post it. let me share a new adventure i did recently. baking with the infamous king of fruits "durian". i grew up eating lots of this, thanks to my dad. he used to buy in huge baskets. i even learnt to open the fruit. the flesh emits a distinctive odour that is strong and penetrating even when the husk is intact. Some people regard the durian as pleasantly fragrant; others find the aroma overpowering and revolting. due to the high sugar content of the fruits .. the crust was beautifully caramelized. not to mentioned the fragrant engulfed my whole house! oh yeah.. i was really busy! i chose to roast the pumpkin instead of boiling or steaming to produce a dry form of puree. blend 100 gram with 200 gram of durian flesh. procedure is the same as all my sourdough bread. what i experience with this dough it took longer proofing time. instead of 2 hours it needed 3 1/2 hours. had it toasted with Gorgonzola and avocado with home made balsamic organic strawberry jam. it's addictive. a good sour and ends with a beautiful sweet that lingers in the mouth. 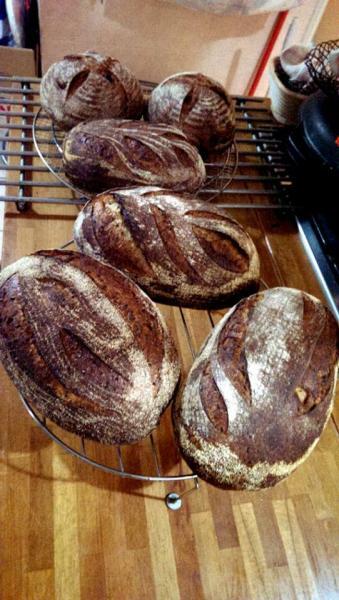 A very impressive batch of beautifully scored and shaped loaves! 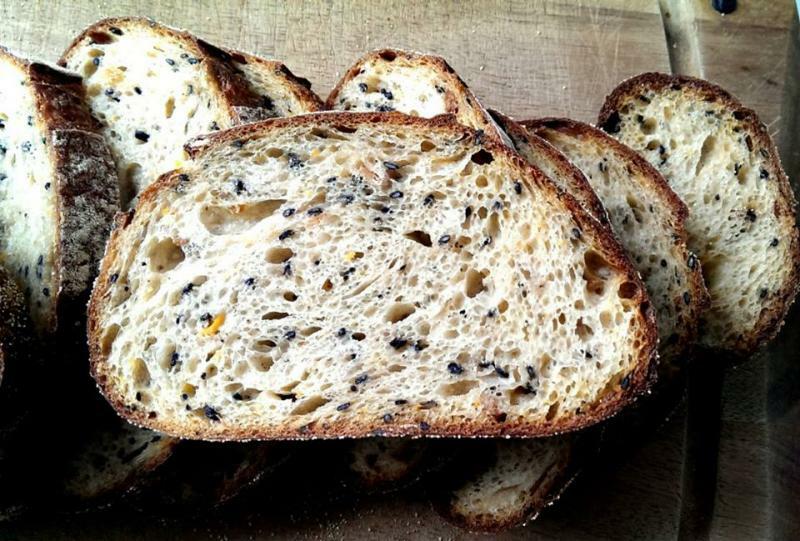 The fruit sugars have helped create a gorgeous, burnished crust...does the bread itself have sweetness, from the fruit? 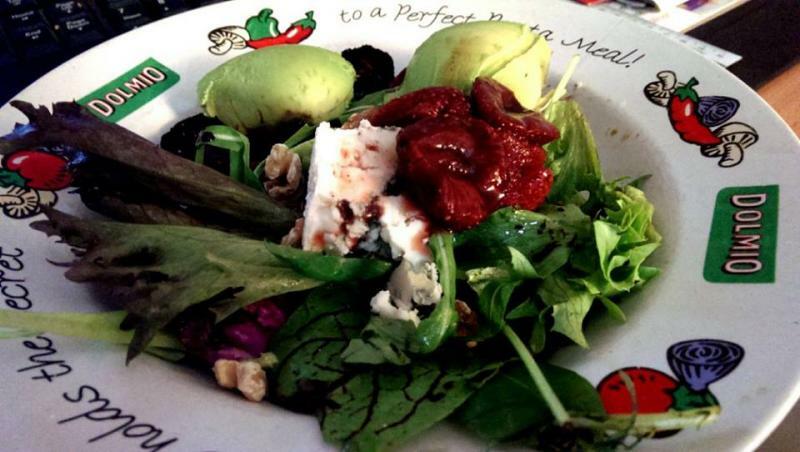 The salad is so pretty with the burst of color (and flavor, too, I bet!) 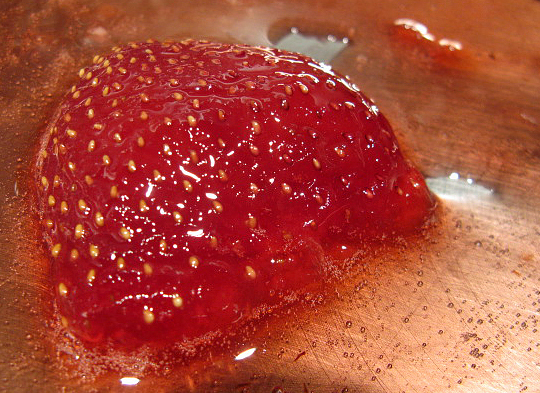 from the balsamic strawberries. I was doing the same thing here last week (jam made with strawberries, raspberry juice and chocolate balsamic vinegar...yum...Christine Ferber recipe; and yes, the balsamic does lend a very pleasant agrodolce note of flavor to the jam!). hi breadsong :) thank you..
hi breadsong :) thank you.. i love your crystal clear red strawberry jam!! chocolate balsamic vinegar.. hmmm something new to me. sweet n sour all my favorite things! hey, your bottling is professionally done.. for sale? 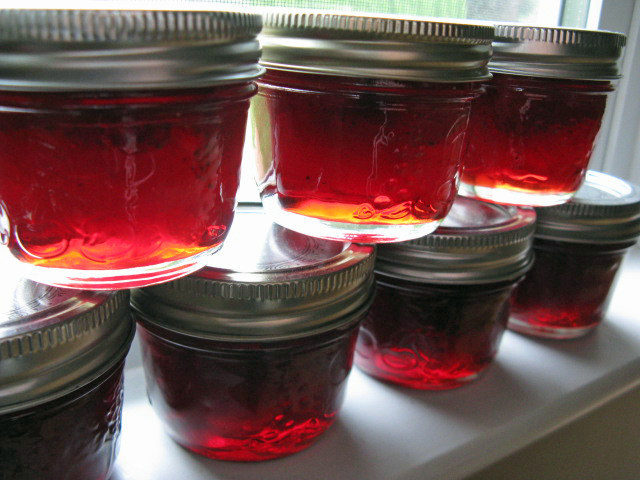 The strawberries are floating at the top of each jar, leaving clear jam (jelly, I guess) underneath. Ms. Ferber's book is called Mes Confitures, so many lovely recipes; the recipe for this jam is located in this thread in case you're interested. Many recipes call for apple pectin in place of commercial pectin; have found that a pan like this one does a wonderful and efficient job of reducing whole fruit to clear juice for jelly making! don't like fruit on top? Thank you and will keep this in mind for the next batch of jam. Did the comments say you were near, or visiting Vancouver? 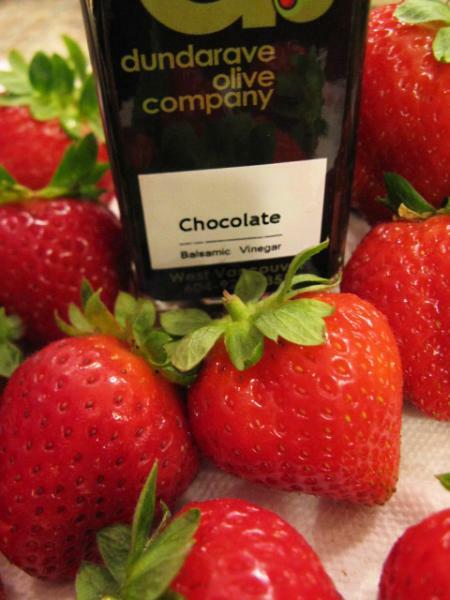 If you've visiting the city, this is the company that makes the chocolate balsamic vinegar (frightfully good, to my taste); they make an incredible olive jam, too, if you like that sort of thing! Wow Evon - very nice. What an original bake. I too like Durian and can get this at the Mekong Market here. .My girls won't let the ugly monsters in the house though - banned forever. I'm guessing no one has made a SD with Durian before and I'm guessing most folks here in the states haven't even seen one - much less smelled one :-) I am surprised that the proof took so long though and would have though it to be faster with all the sugar available for the wee beasties to eat because of the Durian. Maybe the Durian has developed a yeast inhibitor to keep it from going off in the wild? 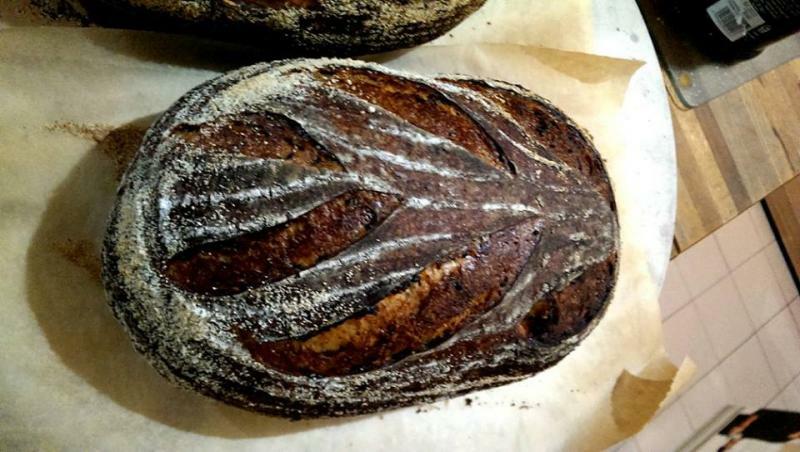 Your bread looks perfect inside and out and the scoring top notch as usual. What a great original bake! Happy baking Evon and glad you are back to post these beauties. hello hello... glad you liked it and never in my wild guess you would love durian too!! again, i encourage you to give durian a go in SD!! of course when you are home alone :) i used a high grade of durian, in malay we called it raja kunyit or musang king!! it's thick and creamy in texture, bitter and sweet very yellow flesh like turmeric (kunyit in malay) and have very tiny seeds..
What a big bake! 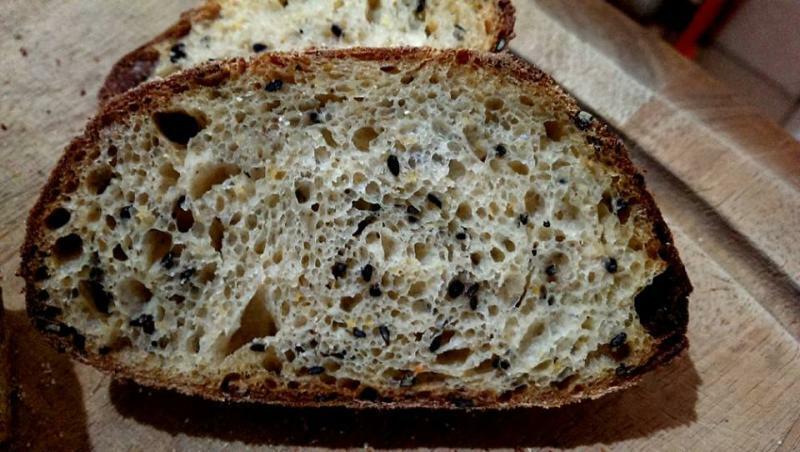 Nice open crumb and beautiful scoring. 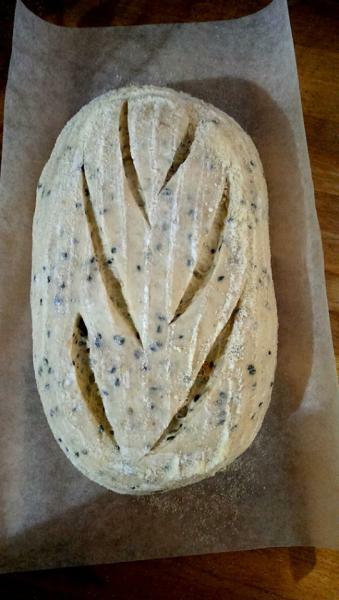 I think this durian and sesame seed sourdough when toasted will go very well coconut ice-cream. Just last evening I was in an Asian supermarket here in Overland Park, KS, and saw whole durian fruits in the freezer case. And now you post about a bread made with durian! Not having eaten, or even smelled, durian, I have no idea whether I would be in the ecstatic or the repulsed crowd. 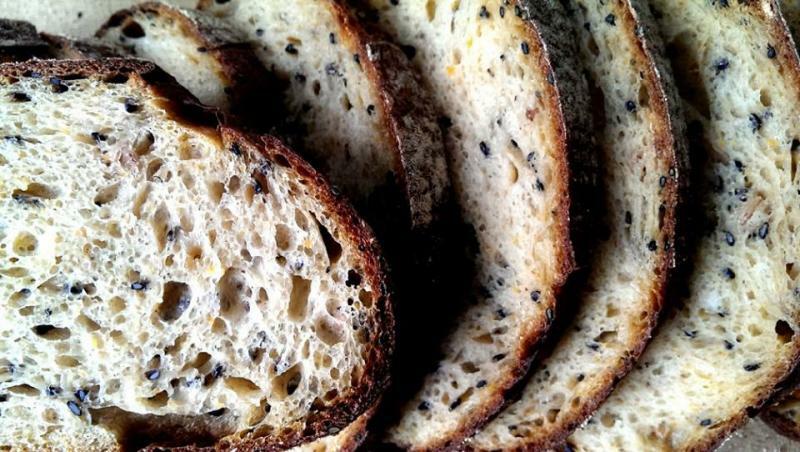 Your breads, though, are beautiful. Excellent work, evon. haha.. with an open mind and open heart you will love it!!! Evon these loaves look amazing. Once again you have created something unique but with perfect aesthetics. Here in Vancouver, we have a large Asian population so Durians are found in most grocery stores. I have only tried the fruit in a specialty gelato ice cream. I don't mind it, but I do agree the aisle in the grocery stores do get a bit of an off odour. 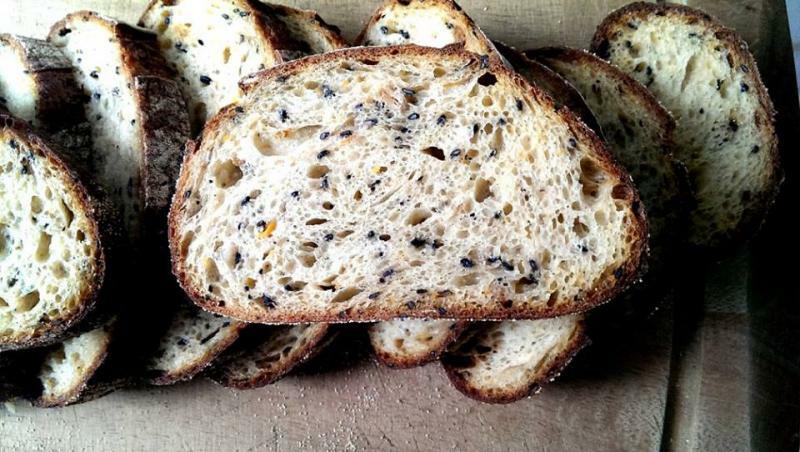 The exterior of your loaves are amazing. i thought most of you will be disgusted by the fruit!! oh well, very positive reception :) thank you. 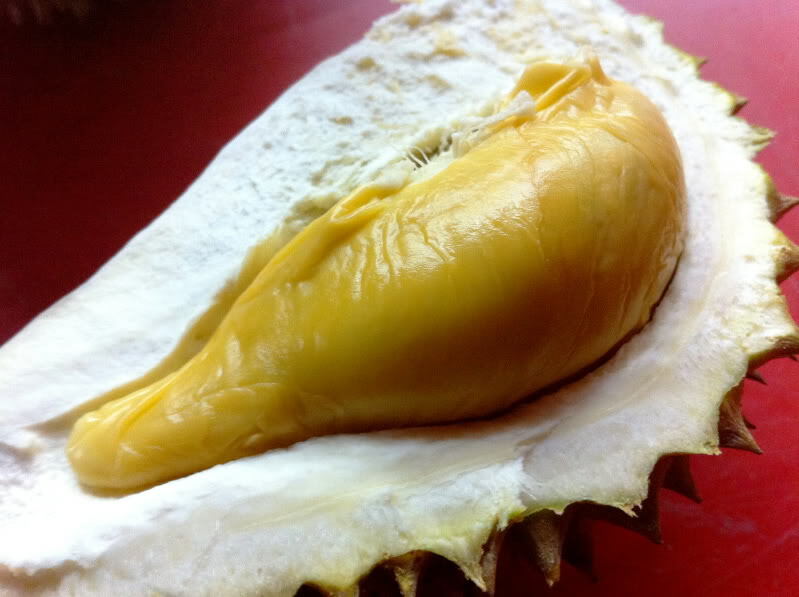 i add the pumpkin puree to mellow down the overpowering durian. and yes it did.. Thanks for posting this, it may take me a while but I will try it eventually. Just wait until I'm back in Asia again! I'm one of those that like durian. Beautiful and well executed loaf! Yeah, Durian all over the place. If you're not careful, you may sit down on one of those spiky bad boys. If you can find a Superstore near you, that's where you'll find it. You don't have to go all the way to Vancouver. Cranbrook is probably the closest location to you, depending on where you are in the Kootneys. Beautiful! 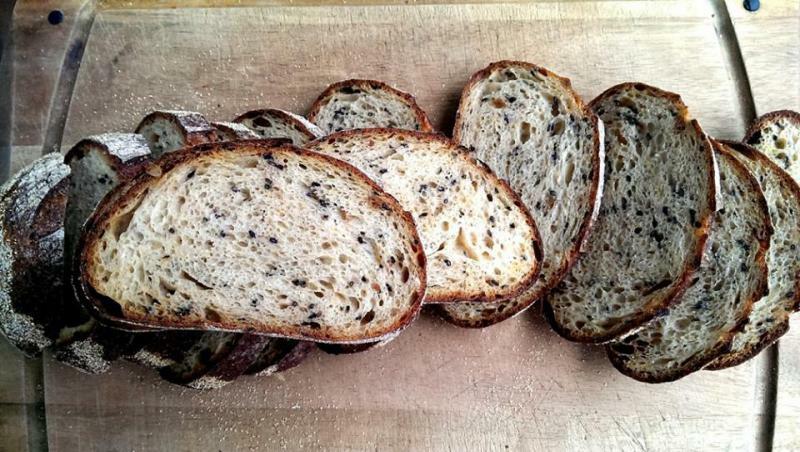 Scoring, crust colour, crumb, just beautiful. I'm also a fan of durian so I applaud your efforts on making this unique piece of art / food. 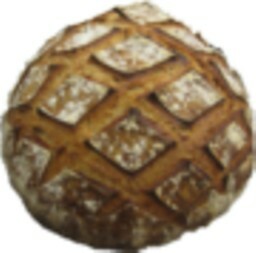 Haven't thought of incorporating durian into sourdough until reading your post, and I think I'll be having these thoughts for months to come. it's the durian season now, taking the opportunity to baked more while it is at the highest quality. of course, it is not for profit sales.. friends chip in for the cost of baking ingredients. i have the opportunity to bake more to practice!! Wow, Evon, they are big and beautiful! My hubby is a big fan of durian but he doesn't like sourdough bread at all. 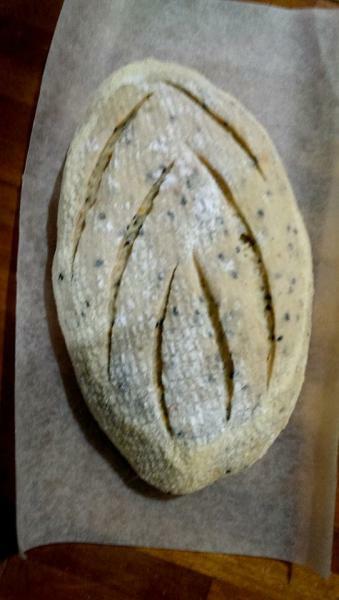 I might just make this kind of sourdough bread for him to see if he is to change his mind. If there is any left-over, I think I will make durian bread and butter pudding to go with coconut ice-cream. I like the combination of durian and coconut. 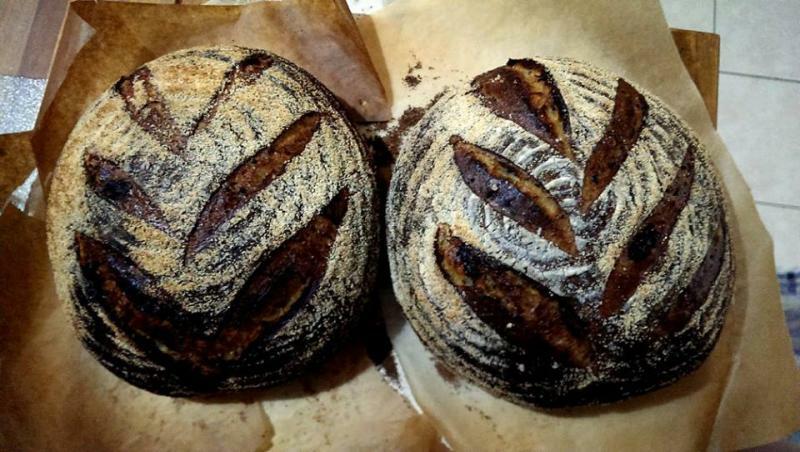 Beautiful looking loaves and scoring. I have to admit I have had the displeasure of smelling the durian while in China and I am not a big fan..sorry :). Anyway, your loaves look beautiful and probably taste great even with the "stinky fruit" inside! hi Ian.. thanks for your kind words. too bad to know that you dislike the fruit. have you even tasted it? it's like blue cheese, smells stinky but once you try it... somehow it's not as stinky as it smells, it's wonderful! 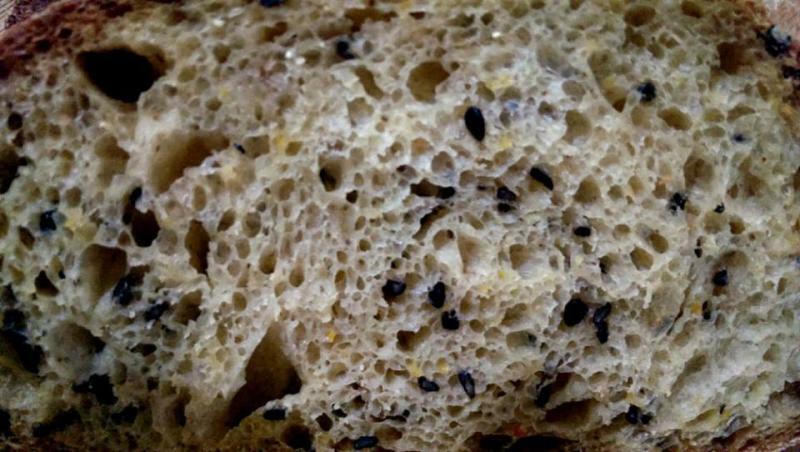 if i offer you a piece of my bread would you try?? If you could transport it to New York I would give it a try for sure. I won't however try the fruit by itself as I have been too close to it already and I tend not to eat things my nose tells me to avoid :). Wow, Durian in a bread. I instantly know 5 people who would love that. Not me :). I am one of those ppl who don't really appreciate the smell and the taste sensation of it. But I like the idea to bake it for them, not for myself. and the bread looks delicious. On that note, ever tried to make a jackfruit bread? Jackfruit not my favorite fruit, thus it never cross my mind. i like the bittersweet fruits like a good durian. there are so many grades of durian. some are just sweet, others are with bitter notes. different texture as well, thick custard or thin. they are amazing as a fruit, with a very strong character either you love it or hate it!! I've never heard of Durian fruit, interesting. thank you Khalid. once in your lifetime, if you happened to see one, please try! !